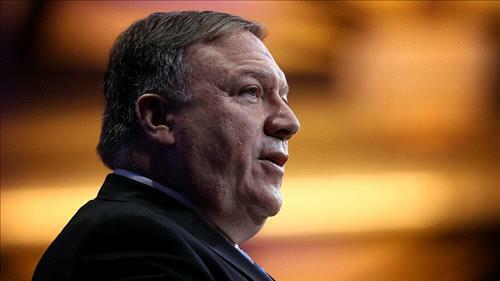 AMMONNEWS - United States Secretary of State Mike Pompeo tweeted on Tuesday reminding European counties of the Iranian regime’s terrorist plots across the world saying that they weren’t immune to “Iran-backed terrorism”. “Europe isn't immune to Iran-backed terrorism. This month, an Iranian “diplomat” in Vienna was charged in connection with a plot to bomb a rally in France. At the same time the regime is trying to convince Europe to stay in the Iran Deal, it's plotting terrorist attacks in Europe,” Pompeo tweeted. Assadollah Assadi, 47 and an Iranian diplomat, was arrested in Germany earlier this month in connection to a plot to bomb an Iranian opposition rally in Paris. “The Iranian regime has left its mark on Europe, the world, and its own people. It’s time to face the facts about Iran’s malevolent regime,” Pompeo added.